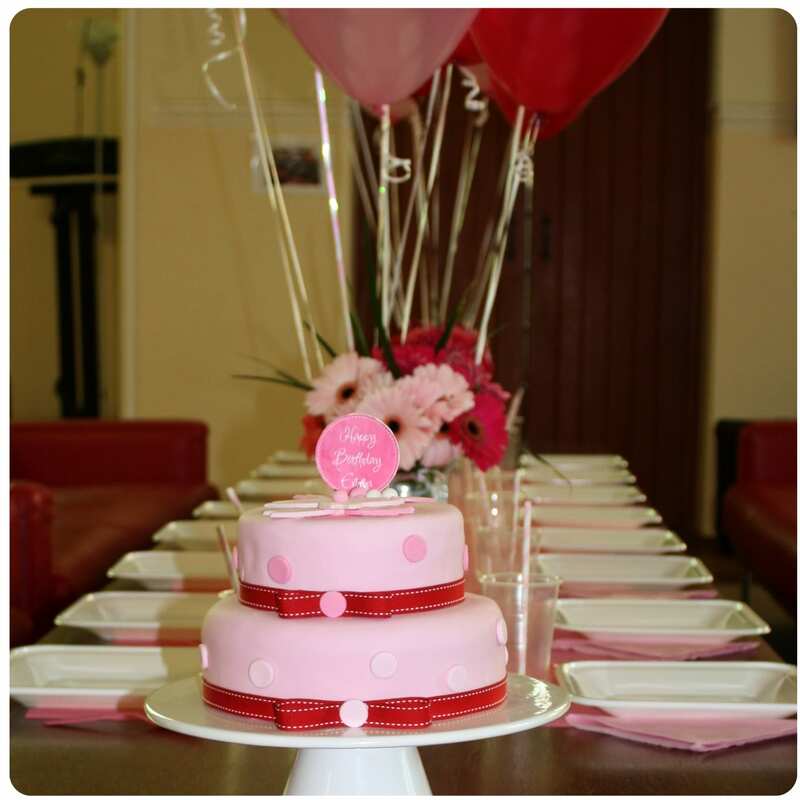 Home | Blog | Two Layer Pink Polka Dot Party Cake. This year one of my daughters turned seven. So a little bit older and so much more involved in terms of the type of birthday cake she wanted! It’s amazing to watch them evolve into little people with their own opinions and ideas so I really wanted to nurture this with her. Earlier this year, Emma had a school project which involved them presenting to the class the story of the day they were baptised. So off to school she skipped with her long white dress, the incredibly special shawl my mother made as a family keepsake (more on that later) and a poster that included pictures of her at 3 months old sitting beside her cake! The cake just happened to have two layers and she fell in love with the sight of it. So you can imagine that for her birthday she decided it just had to be two layers. Luckily for me, these cakes are actually easier to create than they look. And in the eyes of a seven year old, perfection is not the name of the game. 1. 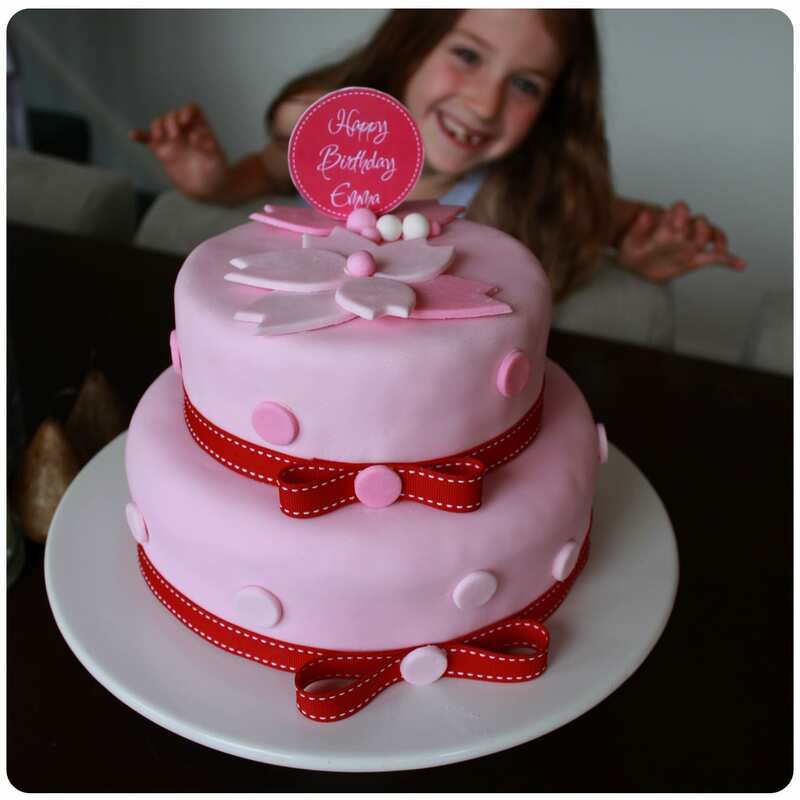 A few days before you make the cake, it’s a good idea to make the decorations that you will use on the cake. 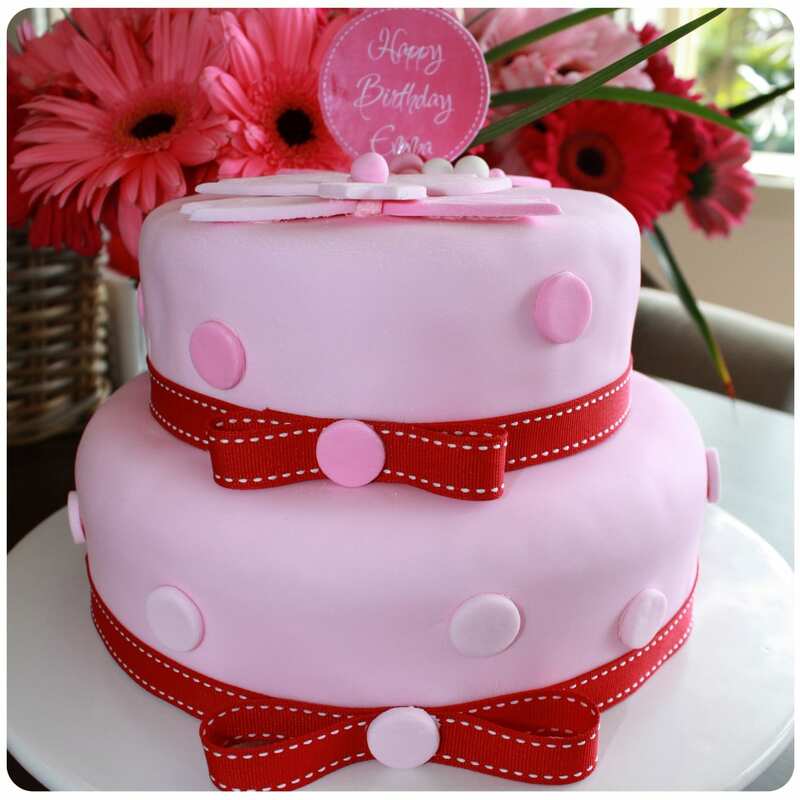 For this cake, that meant the polka dots, the flower petals and the little round balls. 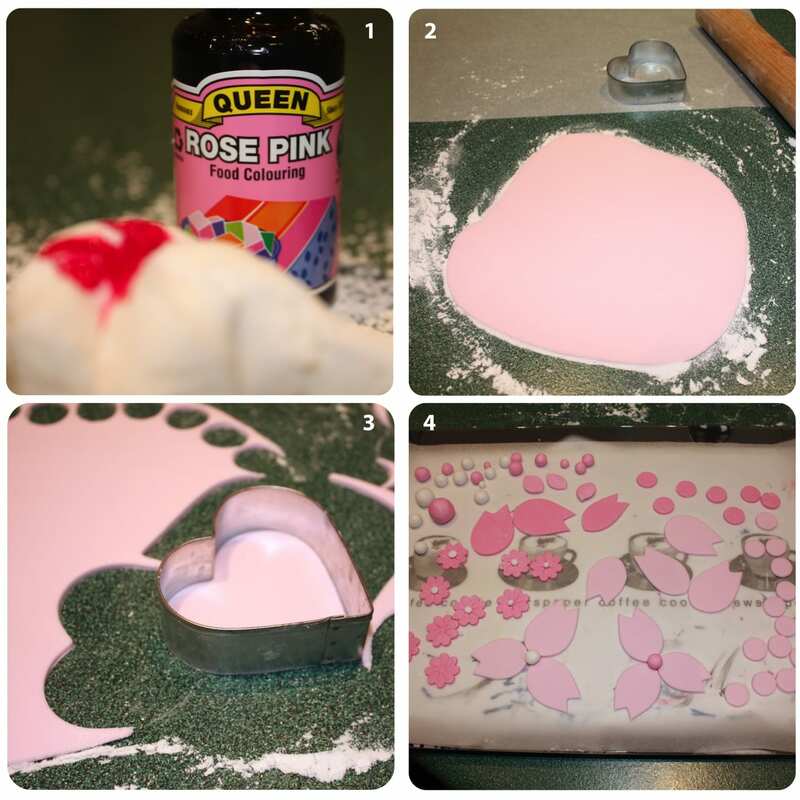 Colour your icing with food colouring – if you’re only after pale colours, you can use the Queen Food Colouring. If you’re after really dark, very richly coloured icing you’ll need to find the specialist food colourings (some are powder, some are gels). 2. Make yourself 2 cakes. You should aim for a dense cake so that the bottom cake is solid enough to take the weight of the upper cake. I made a double batch of Donna Hay’s Pound Cake but have made cakes like this previously with a dense mud cake (white, caramel or chocolate). Split the double mixture 2/3 into the large round tin (22cm diameter roughly) and 1/3 in the small round tin (16cm diameter). 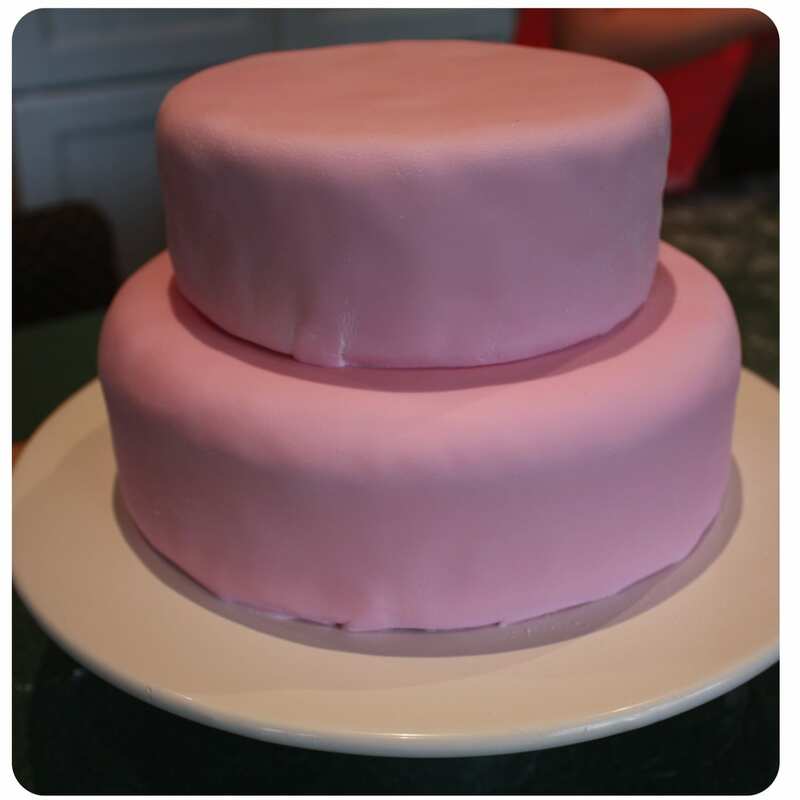 If you don’t have two tins, you could also trim down a larger cake to make the smaller top cake. Or you could create a similar cake with just one layer if two is too much. 3. Allow these to cool (preferably overnight or at least all day) before you make a start on the icing. Any residual heat and you’ll have a sticky mess! 4. Start by placing the larger cake onto the cake plate or cake stand you intend to use to display the finished cake (I’ve had the same Country Road cake stand for nearly 6 years now and love it). Wheel & Barrow also have some beautiful, relatively inexpensive ones that are also available to purchase online. I always trim the cake down with a large bread knife so that both sides of the cake are beautifully flat and even. I find it’s a good idea to get eye level with the cake when trimming – it’s quite easy to go off track with the knife! (sorry forgot to take a photo of the plain cake on the stand – I’m sure you know what this would look like). 5. 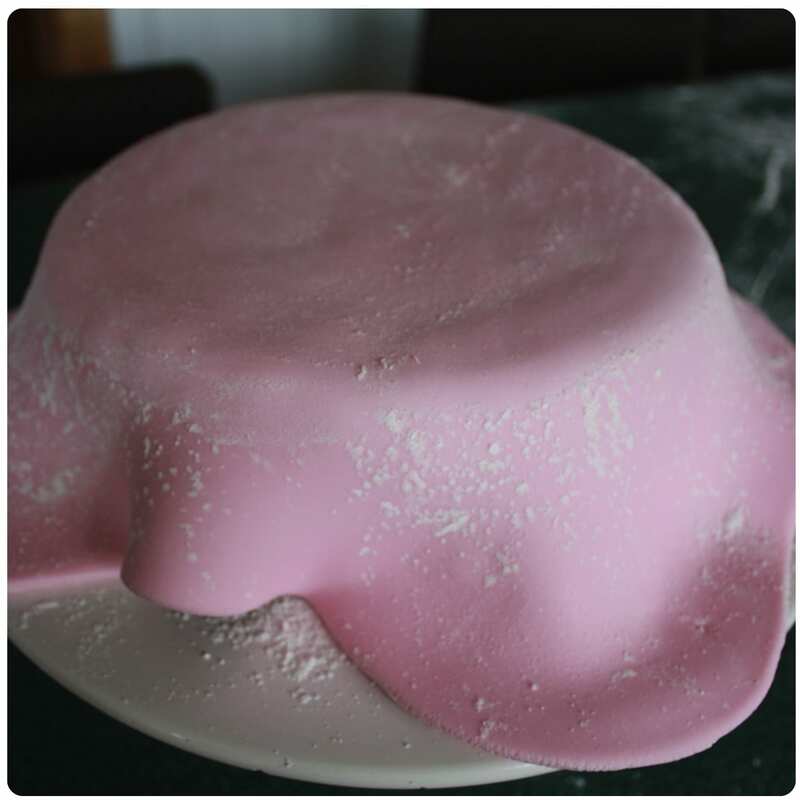 Next stage is the icing – using a 500g pack of Orchard White Icing (coloured to your taste or theme), roll out neatly to a circle large enough to cover the top and sides of your larger cake. Ensure you keep it smooth and easy to handle by sprinkling with plenty of finely sifted Pure Icing Sugar. Roll the icing off the bench around your rolling pin and then transfer over to your cake. You’ll then need to work it neatly against the sides of the cake using your hands (rings off and hands clean, very dry and coated in sifted icing sugar). 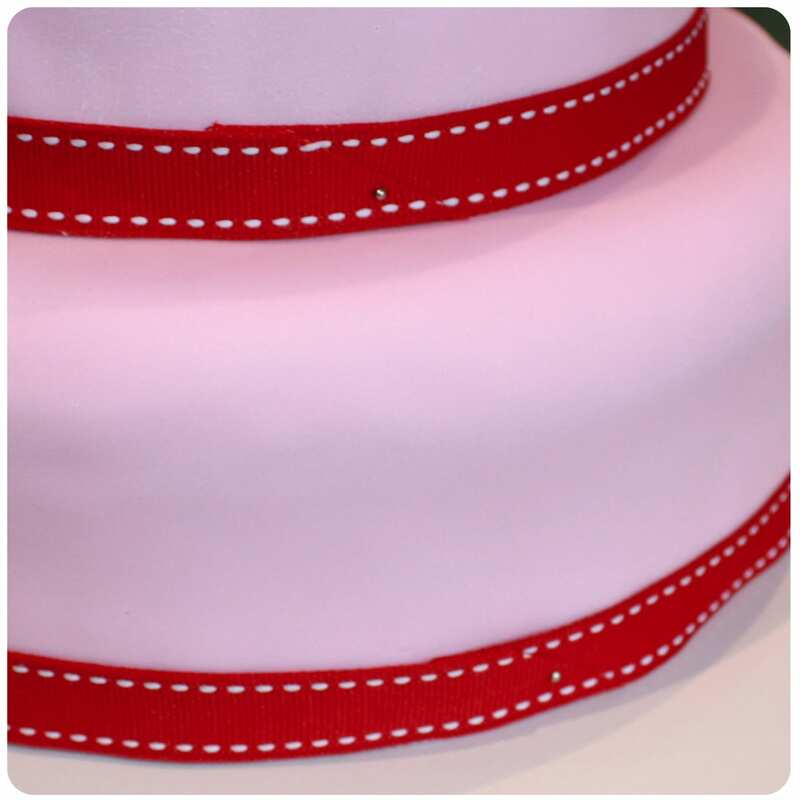 Using a small sharp knife trim the icing off close to the base of the cake. I can never get this perfectly neat (my mum always could but me? no way) but don’t worry. Just about every little mistake ends up being hidden – and never forget your audience are tiny little girls who think anything pink is perfect! 6. Next step is to repeat the process for the smaller cake. I actually find it easier to cover the smaller cake with the icing on my thinnest breadboard (rather than trying to do it and trim it on top of the other cake). I place it onto a sheet of baking paper which then makes it very easy to slide onto the bottom cake once you’re happy with the icing. 7. The next part is the part I love – starting to cover all my little imperfections! 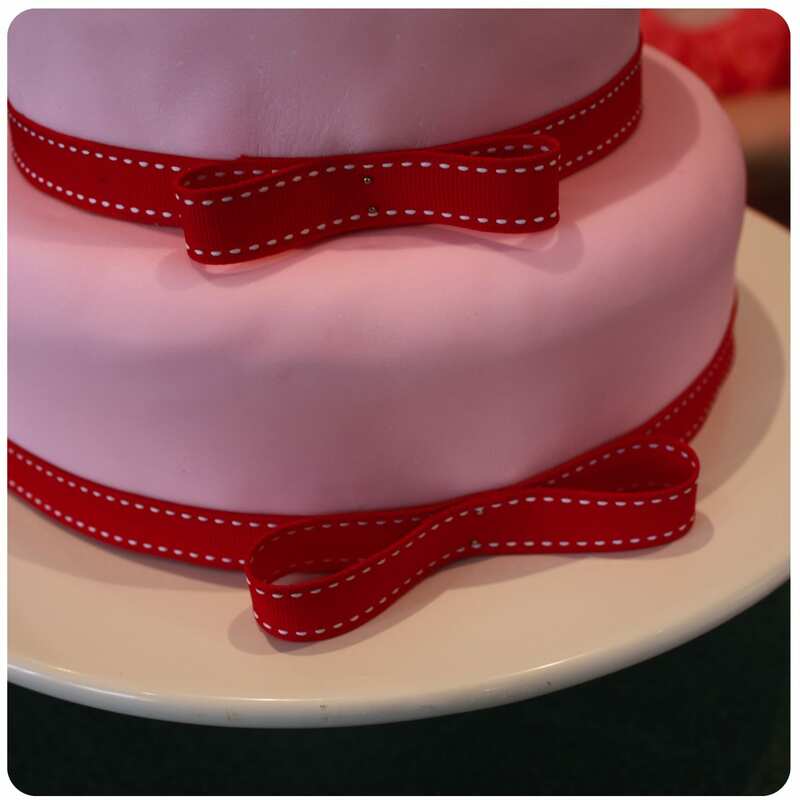 Find some ribbon you like – you might use the same on each layer or you might choose a thicker ribbon for the bottom cake and a thinner ribbon for the top. The choice is endless! You’ll see I pass the ribbon right around each cake and then overlap by about 1 cm at what will be ‘the front’ of my cake and fasten with a flat tipped stainless steel pin (these are obviously removed before eating). 9. It’s then time to have fun decorating. Using a small amount of butter icing (pre coloured to suit your theme) ‘glue’ the decorations in place. I placed a dot in the centre of the ribbon box to hide the pins and then continued the polka dot theme all over both cakes. The density is purely personal choice. You’ll see from the picture right at the top, I then created flowers using the petals I had cut out with the heart shaped cutter and layering them to create the flowers. 10. Last but not least I actually printed the circle saying Happy Birthday on photo paper and glued this either side of a toothpick. Once the glue was dry, all I had to do was push it into the top of the cake. 11. We chose to extend the theme with pink & red helium balloons and one of our dear friends was married the night before and sent me home with armloads of pink and red gerberas which were the perfect accompaniment to our pink party. 12. Party food was super easy – all within the theme (of course). 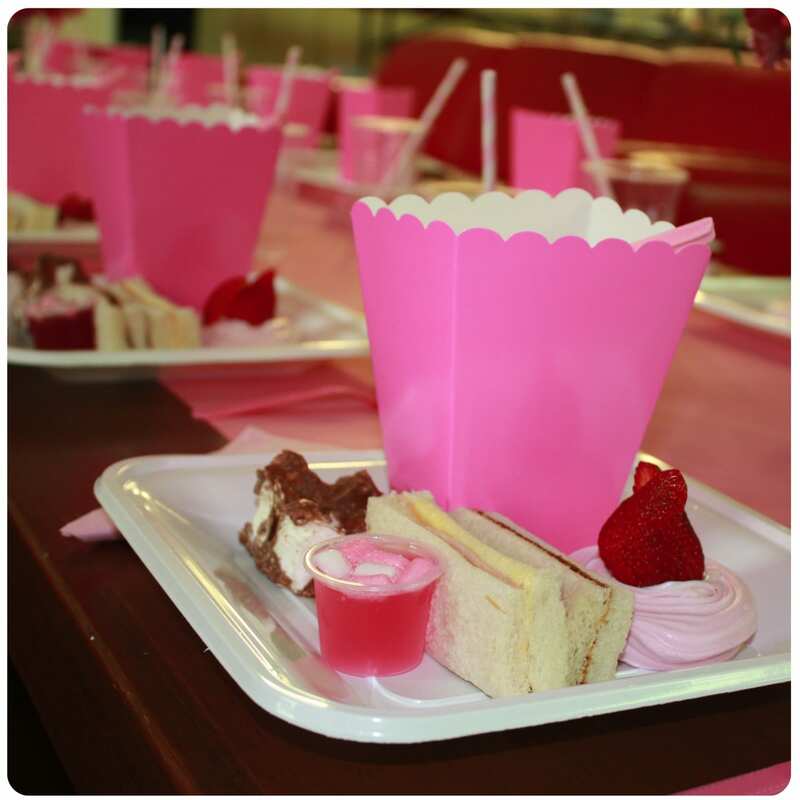 Pink softdrink with pink & white paper straws, Popcorn & pink musk sticks in pink popcorn cups, a premade pink meringue with a giant red strawberry on top, little pink jelly cups with mini marshmallows on top, a chunk of Rocklea Road … oh and two sandwiches. I was tempted to do pink sprinkle fairy bread but felt guilty for all the sugar so did Vegemite and ham instead! All in all – quite easy. All it really takes is a little forward planning and one night of playing. And it’s all worth it – the girls had a wonderful day and apparently they still take about it at school a few weeks down the track! Such a great cake I might attempt s double layer. 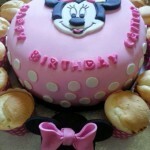 A perfect looking cake any little girl would love,thanks! This cake is absolutely perfect. It easily passes for a highly professionally decorated one. Maybe you should start a home business.I know a lady who started working in a bakery, did some courses and now makes and decorates cakes for sale – done to order. This is cool! Thank you for sharing this! how cool is this!? 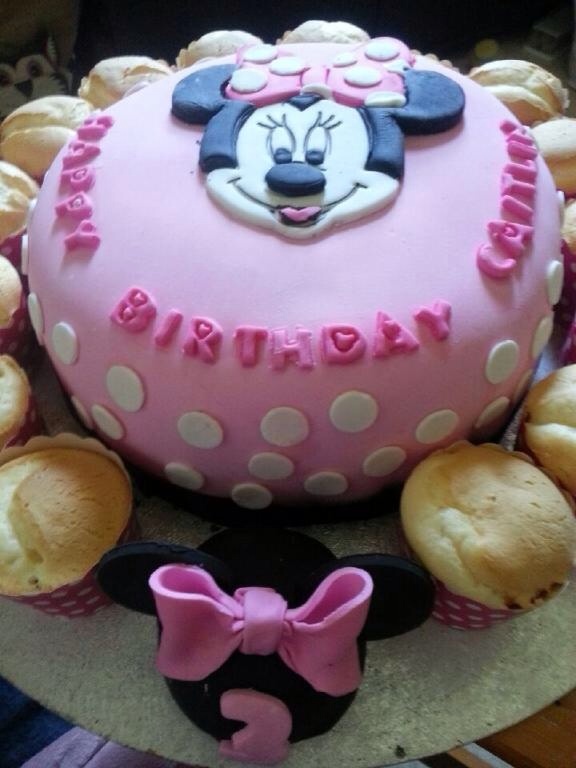 im just starting to fiddle around with fondant for birthday cakes, im definitely trying this one! The cake looks amazing. Here is photo of the cake I made for my daughters 3rd birthday, which is today. Beautiful cake, thanks for sharing! Great instructions too! OMG I have just found my Birthday Cake for my big one next year. My niece-in -law makes and ices cakes like this and I am in awe. Do think I will give it a go , unless you are offering to make mine. lol. Seriously this is sooo beautiful and congrats to you and well done. oopps forgot to add your decorating and food is delightful and so very cute and the two young girls …lets just say tooo sweet for words, so beautiful. 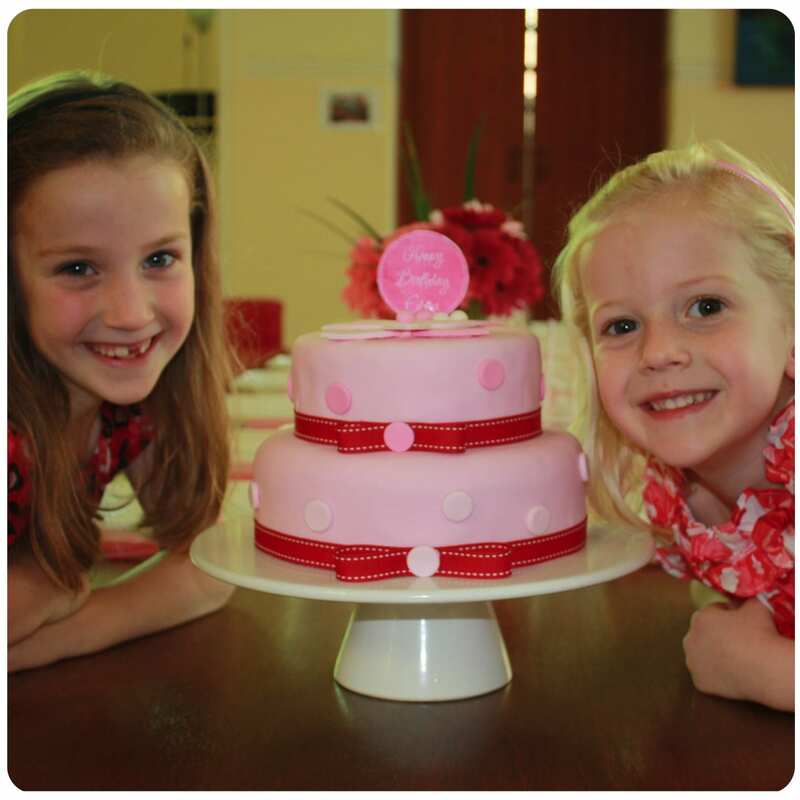 Very cute, yes I think the kids love the birthday cakes we make for them. That is such an amazing looking cake! I hope I can muster the courage to attempt one like that one day. So pretty ! I am looking for Baptism cake ideas this is really pretty ! !